Oh Dirty River, Come Let Me In Except, I have no desire to dip into the Ganges. Apparently I’m not the same girl who once swam in the Rio Paraguay! The Ganges, or Ganga, is a major river in India. 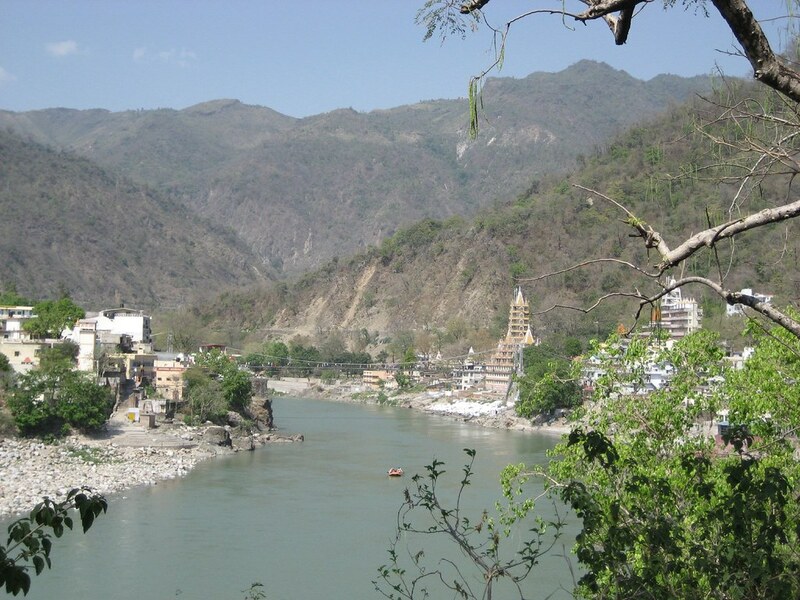 It emerges from the Himalayas in the pilgrimage town of Haridwar not far from Rishikesh and flows southeasterly all the way to the Bay of Bengal. For Hindus, the river is sacred. Most believe that bathing in the river at certain times will wash away one’s sins and help to attain salvation. Many bring the ashes of their loved ones to the river with the belief that the ashes will be sent to heaven. Though we only saw a few boxes and bags float by, it is apparently not uncommon to see dead cows or even people float by. I find myself again at a crossroads of understanding. This same holy river, a sacred burial site to some, also serves as a dumping ground for some major pollutants. In addition to the estimated 1 billion liters of waste per day, there are apparently leather processing factories (does this seem ironic to anyone else?) which dump chromium and other chemicals into the river further downstream. Between this love of the river as a holy cremation site and the pollutants that are dumped into it, you can imagine my hesitation to join the ritual bathing along the steps of the river. All this aside, it’s still an attractive river at this point in the foothills of the Himalayas. And there are plenty of rivers I would no longer swim in the U.S. too!